This wine is fairly powerful and rich, but well balanced and not overpowering. The abundance of dark fruit is accompanied by subtle black pepper. The finish is fresh and ripe. 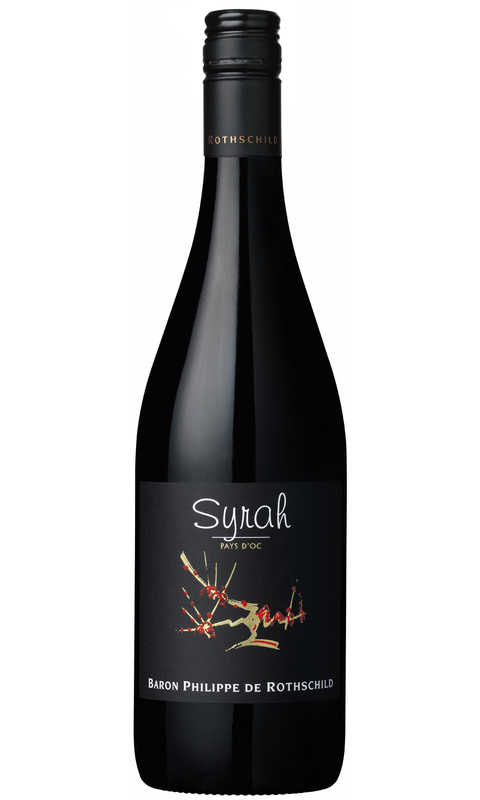 This particular wine is widely acknowledged as being the best red wine in this varietal range. The Baron Phillipe de Rothschild pays d’Oc varoetal range produces wines that are best consumed within a few years of vintage. All of the wines are matured in stainless steel which enables the retention of fresh juicy fruit without the presence of oak.